Skiing and snowboarding dominate the Winter sports activity lists, there is a whole lot of other activities that will tempt you to get out and enjoy this picturesque time of the year. There is not better way to appreciate Winter landscapes than stepping aboard a sleigh and being pulled by a team of huskies. The vast wildernesses of Greenland and Canada’s Yukon Territory are great places for it and Ely, Minnesota is often called the Sled Dog Capital of the United States. Skijoring is a variation of dog-sledding, which involves being pulled by a horse or dogs while you are strapped to a pair of skis. Go here to watch races at Jackson Hole Mountain. Ever get the urge to venture off marked trails and carve up on remote back-country slopes? 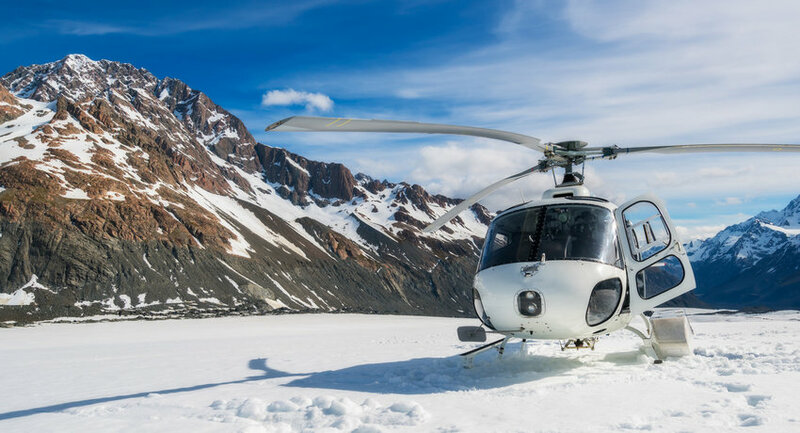 Then climb aboard a helicopter and fly high above the mountains to areas of unimaginably pristine snow and sometimes never-before-skied terrain. Heliskiing is becoming popular the world over but is notably impressive in Argentina, Canada and New Zealand. You can also go for the ultimate adventure closer to home with an Alaskan heli-ski tour. 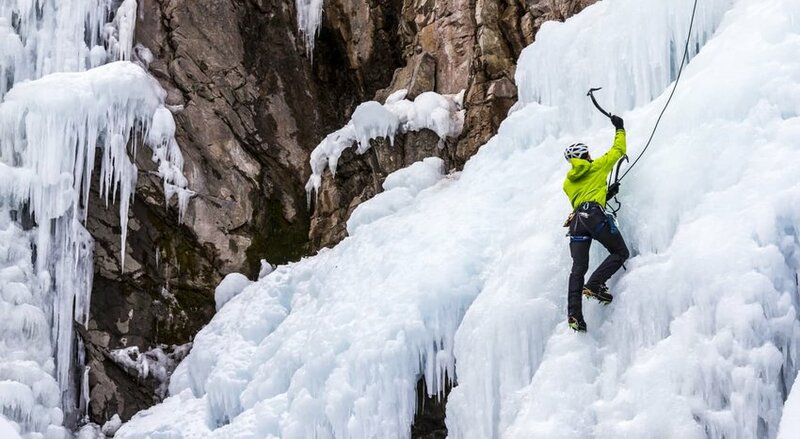 Imagine some of your favorite rock climbing destinations and then add snow and ice. You will be using your crampons and ropes to ascend cliffs and rock faces draped in a blanket of ice and even frozen waterfalls. Many ski resorts offer lessons for those that haven’t attempted this before. Give it a try at Johnston Canyon, Banff. 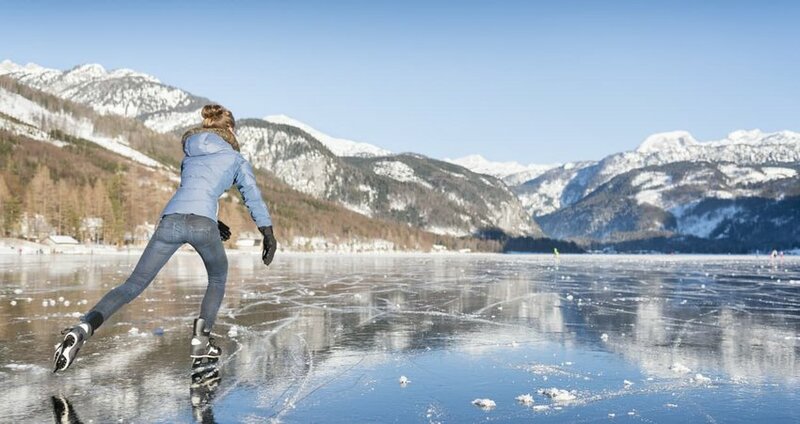 Great to do with children, a romantic idea for a date or a fun field trip with friends, ice skating is a fan favorite. Whether it be at the Rockefeller Center in New York, in the shadow of Half Dome in Yosemite National Park ice skating can be enjoyed by everyone. Best of all, nobody cares how really good or bad you are at it, it is fun. This is an activity with the serious athlete in mind. If you like to run, and do it in the cold, then you will be tempted to race across the frozen Arctic Ocean. 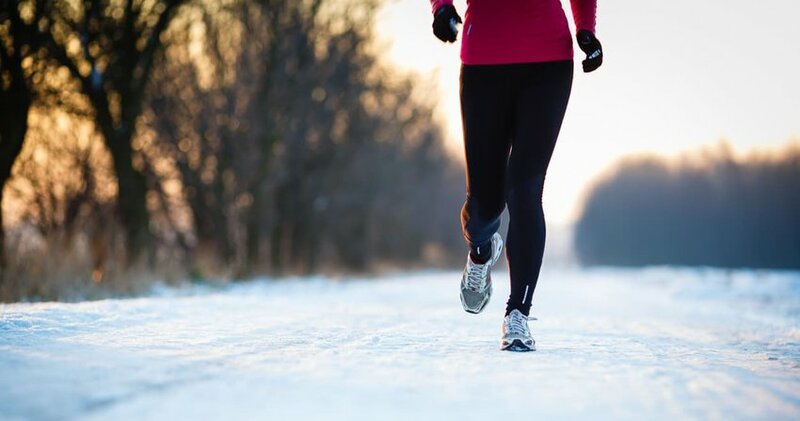 With so much snow on the ground, you might also need to swap your running shoes for a pair of snowshoes. Sound good? Then sign up for the North Pole Marathon if you dare, send us some pictures. OK, you have been skiing and snowboarding before then the chances are that you will love to try ski biking. 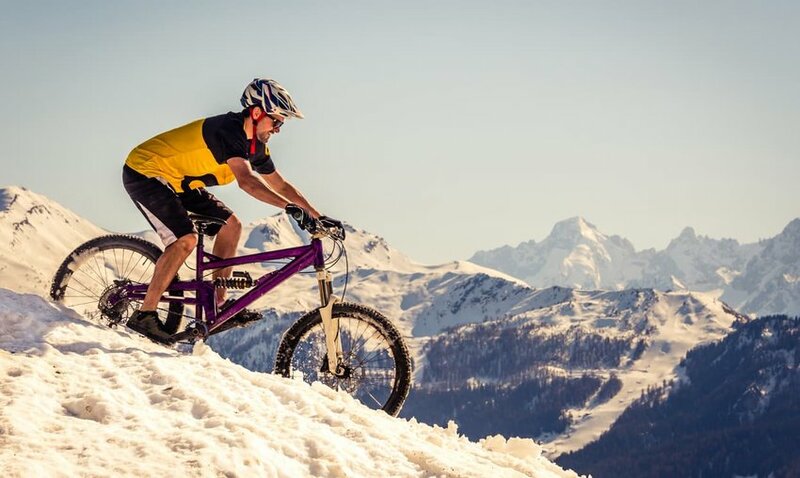 Just think of it as changing your mountain bike wheels for skis and then using your feet as breaks by digging them into the snow. Winter Park Resort in Colorado is a great place to try it and there are guided tours for those 14 anni, and over. If you want to ride inside, then a snow-cat it the way, it is a truck with tank tracks that can plow through deep snow at speed. All you need to do is sit back and enjoy the beautiful mountain countryside. 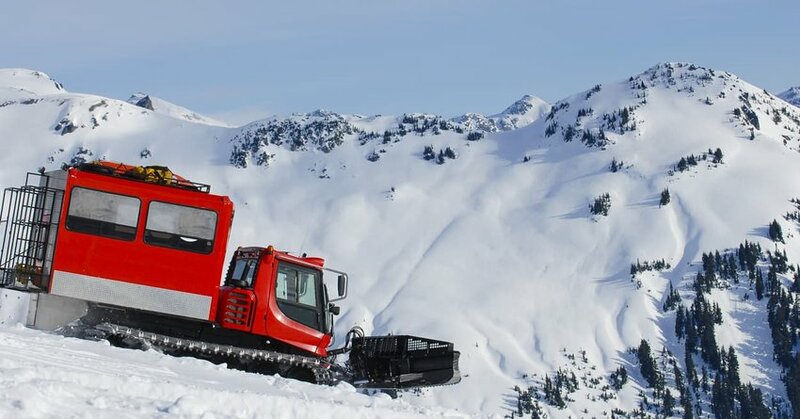 Try the mountaintop snowcat tour at Whistler Blackcomb followed by a dinner by candlelight at the lodge. This is one for the true and fearless SCUBA adventurers among us and one that should be carried out with experienced guides. 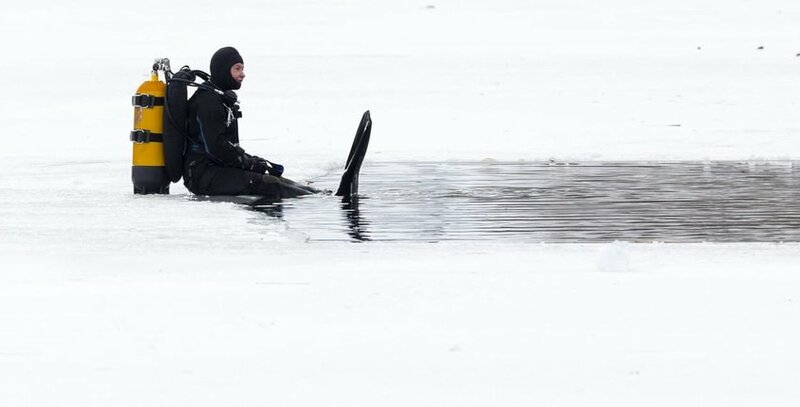 You will drop down into an icy lake or river by breaking through its frozen surface, and return via the same hole to avoid disorientation. Beneath the surface an eery silence and unseen watery wilderness await. Russia’s Lake Baikal and Canada’s Conception Bay are both popular for under ice diving. Just like humans, some animals prefer the colder months to warmer Summers, therefore Winter is the best time to spot them. 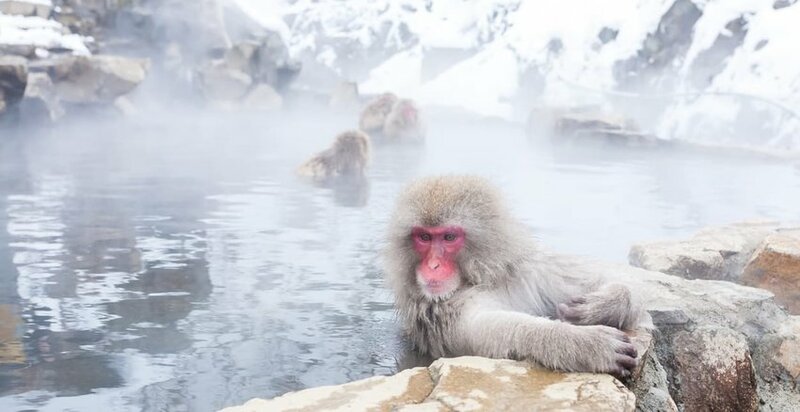 If you want to see the Nagano (Japan) snow monkeys playing in hot springs or grizzly bears roaming the forests of Yellowstone National Park Winter is the time of year. Watching the rare Northern Atlantic whale on their Winter migration from Canaveral National Seashore is perfect for a non-snowy adventure. Sounds cool and cold too, Yes?